MIDD Volleyball 2017-18: Girls In Sports Day! 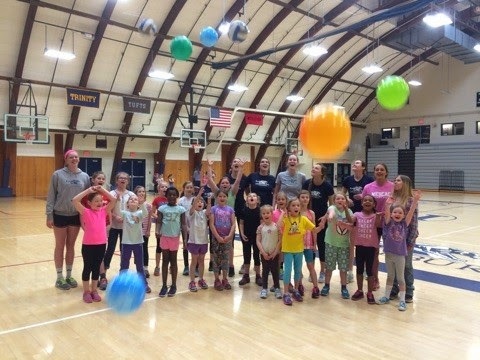 Earlier this Spring the team participated in the National Girls In Sports Day here at the College. 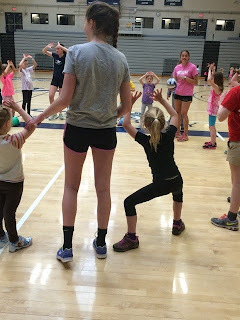 Here's the link for the Women's Sports Foundation's National Girls in Sports Day web page, if you want to check out all that they do and sponsor. A local representative along with volunteers from the college organize this day to help encourage young girls to participate in sports as an avenue to a healthy lifestyle, among other benefits. The young girls spend time with each group of college athletes throughout the morning, rotating from group to group. 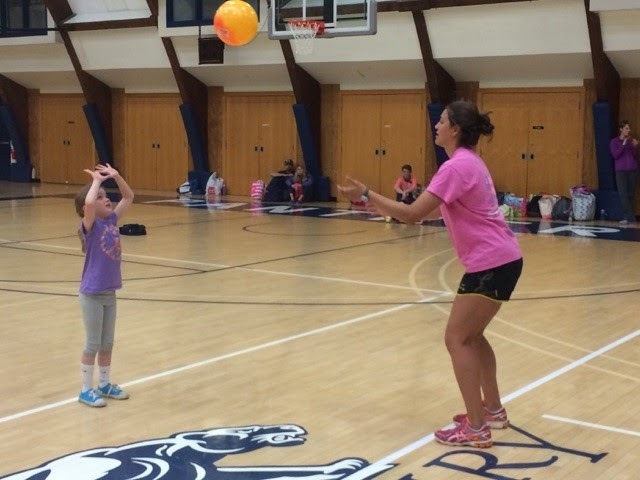 This gives them the opportunity to play and learn several different sports from the athletes who play those sports here at MIDD. 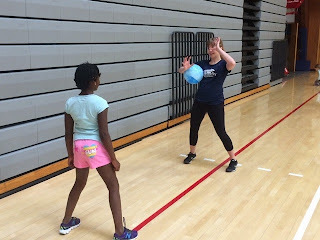 As you'll see from the pictures, we used both "real" volleyballs and the much lighter supermarket balls so the girls wouldn't get the tell-tale red arms from their first day of volleyball. (We figured it's much better to let them learn to love the game before they learn that's just part of the deal!) 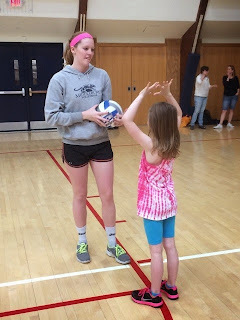 It was a great day of fun, and most of these girls have never been exposed to volleyball. Unlike every other state, Vermont is still in an experimental stage with starting HS volleyball teams, so many of these girls have never played it, with no younger feeder programs. These young girls just love working with the college athletes, and it's a win-win for all involved. The athletes love working with these young kids, and by reaching out to get involved in the community, their college experience here at MIDD is enriched in many ways. It was a fun, and successful day for all involved! 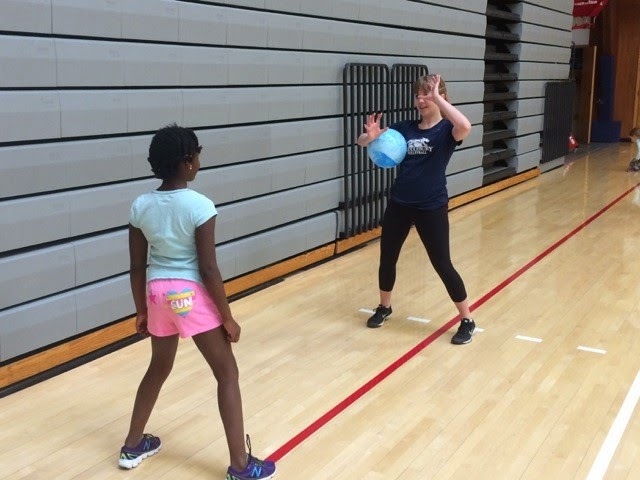 Letting the children use the much lighter balls is a great way to remove their fear of pain when receiving the volleyball. Kudos!